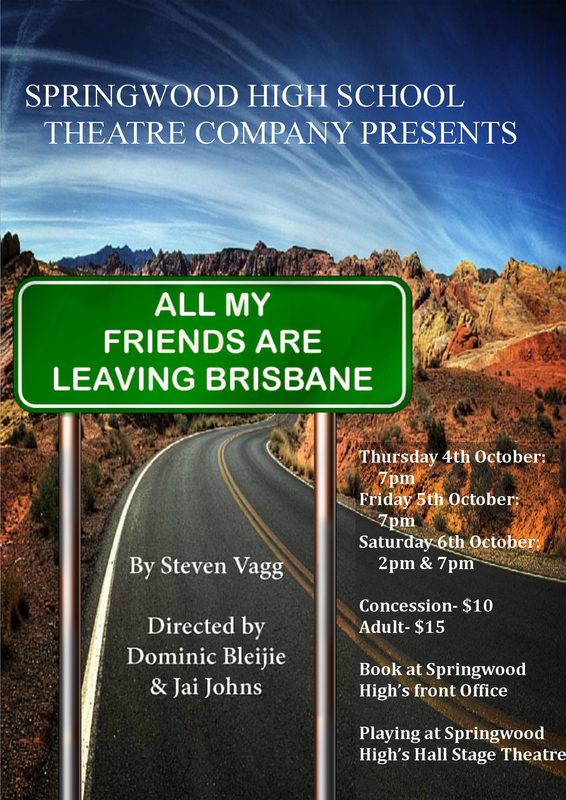 A production of All My Friends Are Leaving Brisbane is being put on by the drama students of Springwood High October 4-6 2012. I’ve seen it and it’s GREAT. I am a parent and staff member and am very impressed with the strength of the students’ abilities with this terrific script which allows them to build on and personalise with great generosity. With minimal props, the audiences rely on the actors ability to keep them engaged throughout and this they do with the varied audiences they have had. Congratulations all. Thanks, Lisa. I saw the show on Saturday night and it was terrific.